We would like to extend a warm thanks for your interest in the Schwan’s Cares™ fundraising program. With the help of loyal customers and community champions, Schwan’s Cares™ has given back more than $13 million to a variety of community organizations. We are extraordinarily proud of the impact made in programs around the country. While we are extremely proud of these results, we have experienced slowing use of the program. As a result, we have made the difficult decision to end the Schwan’s Cares™ program effective April 30, 2019. Effective January 9, 2019, no new Schwan’s Cares™ campaigns may be created. Schwan’s will continue to serve customers throughout the United States with its regular home-delivery services. Our full offerings can be found at Schwans.com. Additionally, we will be exploring alternative community relations programs in the next few months that will continue to make an impact on the communities we serve. 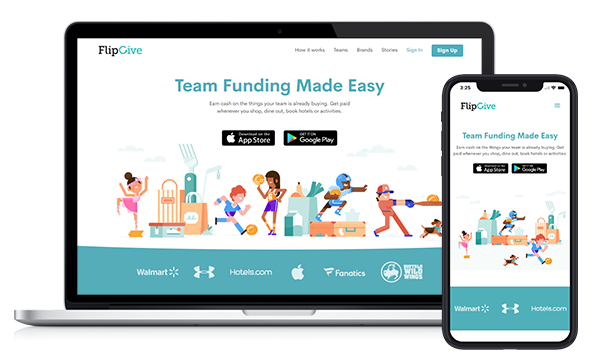 Should you need to raise money for your community group, school, sports team or cause we encourage you to create a fundraising campaign with our platform partner FlipGive. FlipGive is a free fundraising tool that offers groups a way to raise money through everyday shopping with hundreds of brands, including Schwans.com. What does this mean if I have a campaign underway? Campaigns that are already underway can continue to run through April 30, 2019. Your fundraising campaign page will not be changing and you can continue to promote your campaign as always using our email, social media and printable marketing materials. Most importantly, there is no change to our established giveback amounts. For campaigns that were scheduled to run beyond April 30, 2019, Schwan’s will make a one-time donation for the inconvenience. We will contact those campaign coordinators affected by this change directly to help ensure the best possible finish to their fundraising efforts. Again, we want to thank you for your business and participation in Schwan’s Cares. We also want you to know that Schwan’s will continue to service our customers across the country, and we look forward to continuing our relationship and meeting your meal-time needs. All of our delicious foods and convenient delivery options can be found at Schwans.com. For questions, please contact us at 1-855-870-7208.